How Frequently Can A Collection Agency Call Me? A collection agency can legally call you, but only in certain situations (and only a certain number of times). For instance, a debt collector cannot legally call you on your cell phone, and it cannot call you more than once in one day. If any of these situations exist, you should know and understand what your rights are. When a collection agency buys up an old debt, and it starts its collection activity (phone calls, letters, etc), it immediately becomes subject to the Fair Debt Collection Practices Act (FDCPA). This federal law is very specific as to what constitutes a violation of your consumer rights, and the penalties therefor. The rules that are laid out within the act are clear and concise. But this does not stop most collectors from violating its provision. For example, it is imperative that the debt collector identify itself as a collector each time it communicates with you. This could be when they call you, or when they send some sort of written communication. The easiest (and most common) way to make such an identification is to simply state the following: “This is an attempt to collect on a debt. This communication is from a debt collection agency.” So long as this kind of disclosure is made, then the collector has made you privy to its intent (i.e. to collect on a past due bill from you). But what if the collection agency does not do such a thing? What if the collector does identify itself over the phone, or in a voice message, or in a written letter? Such a violation would result in the collector having to pay you up to $1,000 in damages. In addition, it is not necessary for you to pay any attorney fees to have your case handled. This is because the FDCPA states that when a violation of your rights occurs under this federal statute, it is the collector who must pay for your reasonable attorney fees. As a result, you do not have to pay any upfront fees to a law firm to have your rights protected. It may also be the case that in addition to the stressful collection agencies you are dealing with, you are also trying to handle an oppressive load of unsecured debt (things like credit cards, medical bills, payday loans, etc). If this is the situation you are dealing with in life, it may be a good idea to consider filing a St. Louis bankruptcy. Such a filing will generally wipe out all of your unsecured debts, and put you in a much better position to move forward with life. 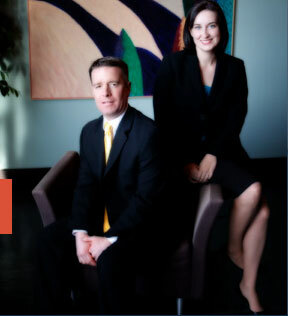 The affordable St. Louis bankruptcy attorneys at Brinkman & Alter, LLC have been assisting people with their debts for over ten (10) years. We have two locations: in the Central West End, at 1 North Taylor, St. Louis, MO 63108; and in the Twin Cities of Festus / Crystal City, at 1000 Truman Blvd (Highway 61/67), Jefferson County 63019. The initial consultation to discuss your legal affairs is free of charge. So contact us today to learn more! !